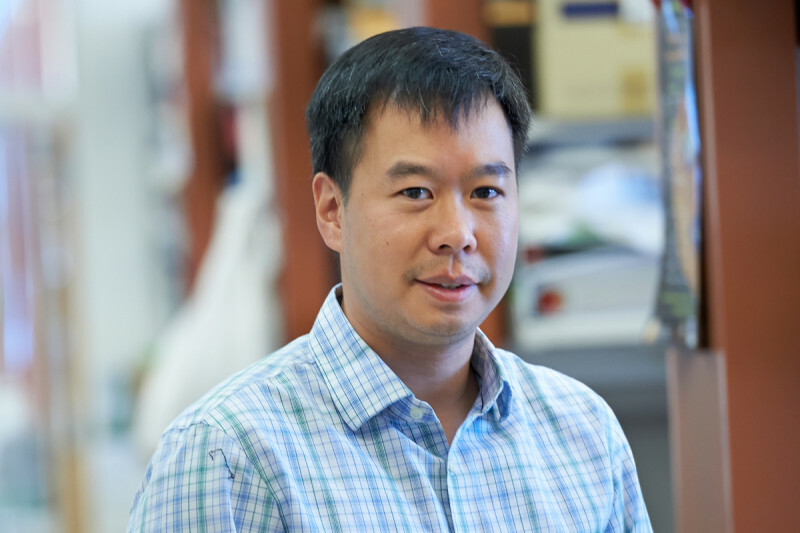 Immunologist Joseph Sun is an incumbent of a Geoffrey Beene Junior Faculty Chair. These chairs — funded by the Geoffrey Beene Cancer Research Center — were created to provide support to outstanding young researchers at a crucial stage in their careers. We spoke with Dr. Sun in 2014 about his current research and his plans for future projects. Your research is focused on natural killer (NK) cells. Can you explain what those are? NK cells are immune cells that were first discovered in the 1970s and were coined “natural killers” because you could remove them from the spleen or blood of a mouse or a human and they could immediately kill infected cells or tumor cells without prior sensitization. This means that unlike other immune cells such as T cells, which need to recognize specific antigens to be effective, an NK cell can attack any cell that it recognizes as infected, transformed, or damaged. These NK cells, part of what is called the innate immune system, are thought to have evolved to protect us against viral infections and also against DNA damage and cellular stress, which can lead to cancer. NK cells traffic throughout the body and survey their environment for stress or viral proteins in a process called immunosurveillance. We are trying to learn more about how NK cells develop and how they function to determine the signals they require to mount these effective immune responses. How do you go about investigating NK cells? In the lab, we are able to manipulate mice using genetic or other alterations that make them unable to manufacture NK cells or fully functional NK cells, and then study the consequences of such manipulation. Through these studies, we’ve confirmed that mice lacking NK cells or NK cell receptors are susceptible to viral infections and also to cancer. We are beginning to see evidence that NK cell protection extends beyond these areas to also include infections with bacteria, parasites, and fungi. In particular, it’s been shown that mice without NK cells are extremely susceptible to infection with cytomegalovirus, a type of herpes virus that most of us harbor but that rarely causes any symptoms in healthy individuals. We’ve been able to use mouse cytomegalovirus as a model with which to study the NK cell response. What have you found by studying this model? We’ve known for some time that so-called adaptive immune cells, such as B cells and T cells, can become activated and multiply when they recognize their specific antigen, in a process called clonal expansion. In recent years, we’ve found that a certain subset of NK cells can do the same thing — something that was not previously known. Although they don’t expand as much as certain T cells, we have observed as much as a thousandfold expansion in certain organs, such as the spleen and liver, during mouse cytomegalovirus infection. This clonal-like proliferation of NK cells has also been documented in humans during human cytomegalovirus infection. In addition, we found that after mouse or human NK cells expand in response to a virus, they can actually form memory cells, which enable them to recognize that infectious agent more quickly and robustly if they encounter it again. The main focus of my lab is to use this model to investigate the molecular mechanisms behind how NK cells expand and generate memory cells, and how we can boost this response in the context of infectious disease or cancer. The larger goal is to see if we can harness NK cells to improve vaccinations. This might be especially valuable for the development of vaccines against diseases like cancer or HIV, where B and T cell-specific vaccination strategies have not been effective. What do you enjoy most about working at Memorial Sloan Kettering? I came to MSK on the strength of its basic science programs, and the amazing colleagues I have in the Immunology Program. But one of the things I’ve come to appreciate is the interaction I am able to have with clinicians. It’s been very cool to see some of the things that are going on in the clinical side and how my work may potentially fit in with some of the current therapies we have developed to treat cancer and infectious disease. I have also benefited from the strong graduate program at MSK. Several of my graduate students are taking me and my research program in new and exciting directions.